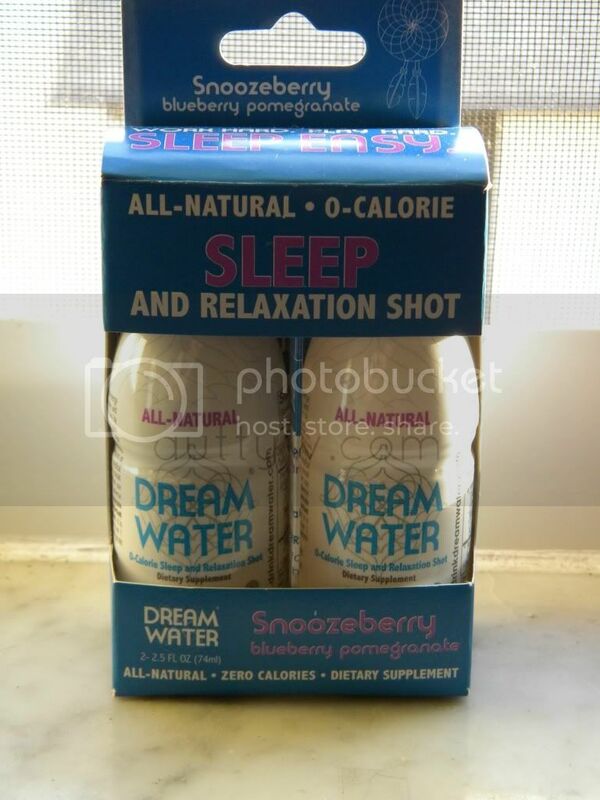 I have a review for you today about Dream Water. There has been some buzz about it lately in my Twitter feed because it was in one of the Influenster boxes, I don't remember which one. Anyway's to get onto why I decided to purchase it. Many people don't know but I suffer from a severe case of Insomnia, and it really stinks. I'm not going to lie, i'm up extremely late every night and it's bothersome to me. Now, typically if I have them I will take a PM pill, but to be honest, I try not too unless I have too because I ALWAYS wake up feeling like crap. With a PM pill, I wake up with a migraine, body aches, especially in my back. 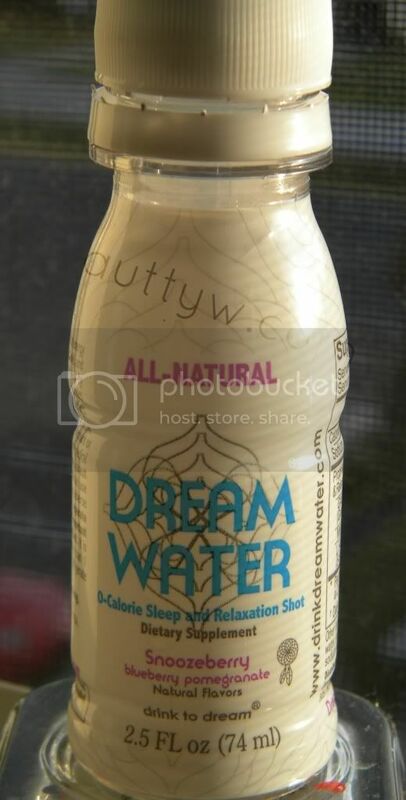 I figured I would take a risk and see how the Dream Water would work when I came across it in Target the other night. I bought a 2 pack of it, that way I could give it a real go instead of just a one try review. Each of these are 2.5 FL OZ (74 ml) and zero calories, which is nice so you don't feel guilty drinking these before bed. As for the taste of this, I get a hint of a berry taste but otherwise it does not really have a taste to me. That is something I really like because I don't want to drink something nasty just to go to bed. Otherwise, it will just sit around and be un-used. I took this around 9pm the first night and stayed up for a few hours, to be honest I was fighting the sleep even though I kept dozing off. I was seriously so relaxed that it's not even funny. I was lying in bed enjoying it because my back wasn't aching , I wasn't getting a headache, nothing! I felt so relaxed that you probably would have thought I was doped up on something if you didn't know me. I really like that it relaxes you instead of just putting you to sleep. 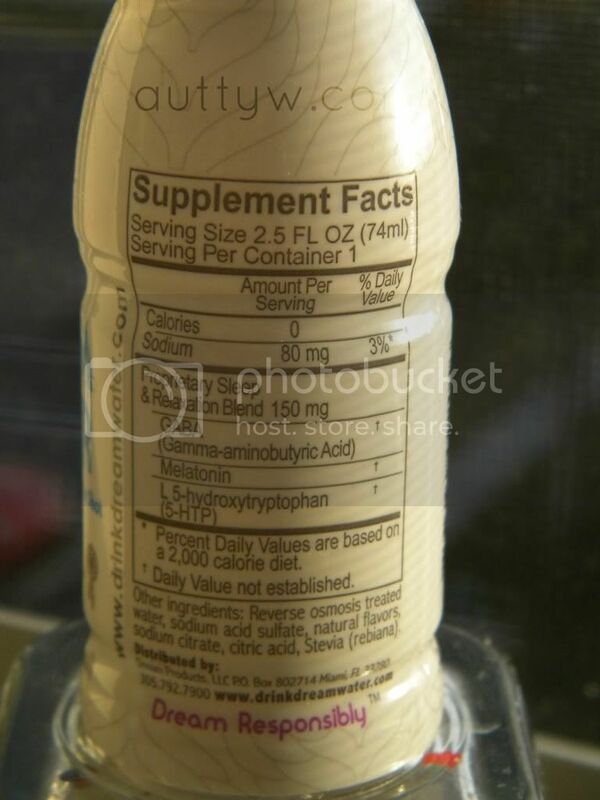 This has no drugs in it, so you don't have to worry about putting something like that into your body. This also helps to reduce anxiety, which is wonderful because I get a terrible anxiety over stuff lately. The second night that I took it, I didn't force myself to stay awake. I fell asleep within 20-30 minutes. It was lovely. Each night I did not wake up with a migraine or any type of body aches. I also didn't have any funky dreams that normally are associated with the PM pills. I really do enjoy this stuff and recommend it if you have trouble sleeping! Heck, even if you just want to really relax before you go to bed this stuff is really good. I wish I could seriously stock up on this. I really can't say enough good things about this! I don't want to sound like a broken record so I am going to stop here before I start repeating myself. I will say this, if you honestly have trouble sleeping go out and buy this. I really recommend this stuff wholeheartedly. It truly is an amazing product and I've never tried anything else like it. I found this 2-pack at Target on Clearance for $2.99. I'm not sure if it is just my Target that is clearing them out or what. You can also purchase them at CVS and Walgreens. Disclaimer: I purchased this product with my own money. I am not affiliated with the above mentioned company, nor am I being paid of sponsored to do this review. All opinions are 100% my own and in the best interest of my readers.